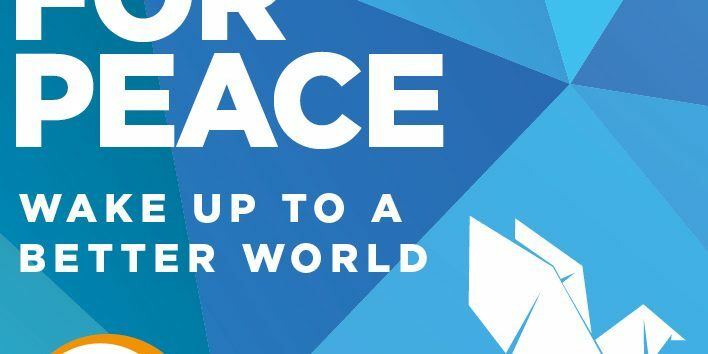 On the 21st day of September An Óige, the United Nations (UN) and Hosteling International (HI) will join forces again to celebrate Sleep For Peace 2017. ‘What’s that?’, you may wonder. 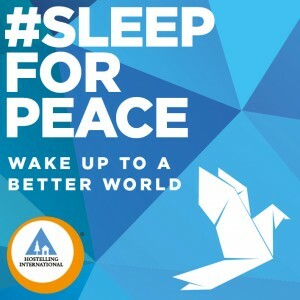 Well, Sleep for Peace is a global initiative set up by HI back in 2013 – which reinforces a clear message; that youth hosteling contributes to peace building on a day-to-day basis through travel and intercultural understanding among young people at home and abroad. This year’s theme is about supporting refugees and migrants and particularly, for An Óige, we want to promote solidarity with young migrants. The UN says there are approximately 232 million international migrants around the world and that 15% of this figure is made of people between 12 and 24 years of age. Unfortunately, migration, especially forced migration, is now a crisis which will only increase in the coming years. 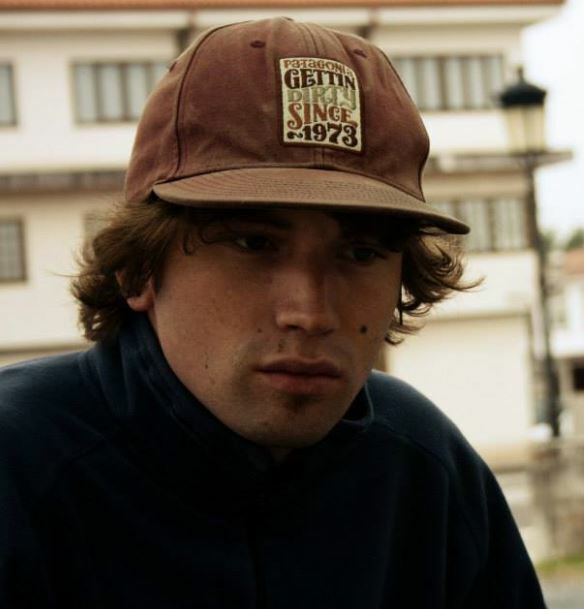 There are many facets to youth migration and many contexts. For example, many Irish people reading this might have a sibling or a friend who has had to leave our shores in search of gainful employment. Yes, even you or I can be affected by this. The recent trends in youth migration are derived from far worse and increasingly alarming circumstances however. Conflict, rural marginalisation and environmental degradation offer the main causes in these trends but it seems that young migrants face even more issues in their countries of destination. It is imperative, we, as citizens of Ireland and of Europe and of the wider world show solidarity for migrants of all creeds. Young migrants have trouble in many instances in realising their rights and accessing decent work and social protection. In many cases, young people are fleeing gender based violence and discrimination and so we must meet this movement of separation with inclusiveness. How do we do that? As citizens, members of our communities, of social groups of all types, we must ask ourselves; how inclusive are we? Ireland is a country of great tradition and sporting heritage. Our country reaps the benefit of social opportunities for young people to grow – even in these we must ask, how inclusive are we? Ireland has a long history with migration and in particular with youth migration. We’ve had to rely on age old diplomatic ties to ensure are young people can leave the country in search of social mobility. There is a large revolving door in this regard. But, has this been skewed? We welcome refugees and migrants, this is true. In 2000, we set up a ‘Direct Provision’ system which was to be a temporary solution to receive asylum seekers. Direct Provision now has 35 centres around the country and the conditions for young migrants vary, to say the least. A positive migration experience can be hugely beneficial for a young migrant and indeed for both the country of destination and the migrant’s home. The UN states that a negative migrant experience can have particularly dire and traumatizing consequences for adolescents’ short- and long-term future. Not only can they lose a valuable opportunity for full human development, but their countries of birth and destination stand to lose an enormous potential contribution to social, economic and cultural development. I suppose, in this sense, we should ask ourselves; how would we cope if our brothers and sisters were stranded in a new country with still no opportunity? I believe when we ask these critical questions – we begin to develop solidarity with all people on the move. An Óige has been promoting youth travel and inter-cultural understanding for 86 years now and we believe that we have an important role to play here. We hope to build Sleep For Peace year upon year and continue to promote solidarity with young people. Please support our message and join us as we promote peace and solidarity for young migrants and refugees this September during UN International Peace Week. Hostels around the world will be shining blue for all those affected by conflict and hate. Europe was built upon such ideals of inclusion and dignity, and so, we should push for an effective pillar of social and human rights for young people in particular for some of the most vulnerable people on the planet; those young people on the move. To find out more about how we work with kindred associations in other countries, sign up for our newsletter.